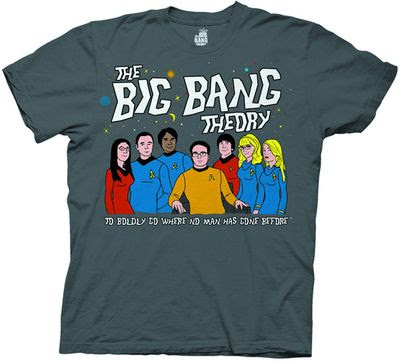 Things From Another World have added listing for another T-shirt in the Star Trek/The Big Bang Theory crossover range. 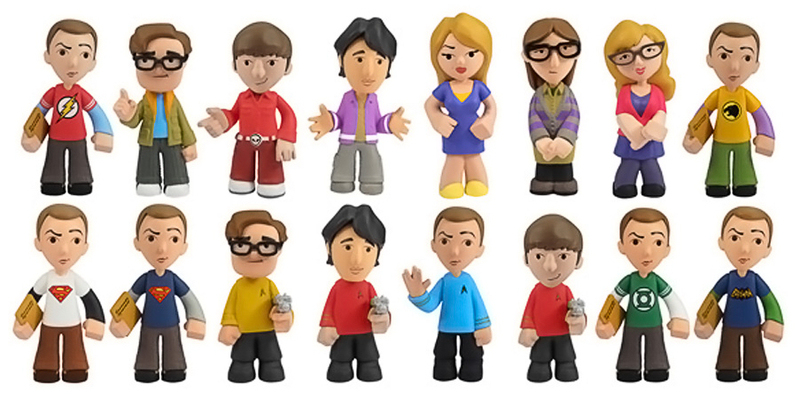 The Big Bang Theory gang are pictured in Starfleet uniforms once again, and this time the girls get to join the crew too. In a very cool touch, the title The Big Bang Theory is using the Gold Key Comics Star Trek font! 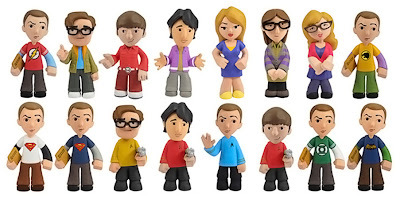 The Big Bang Theory isn't the only franchise getting the Star Trek crossover treatment. 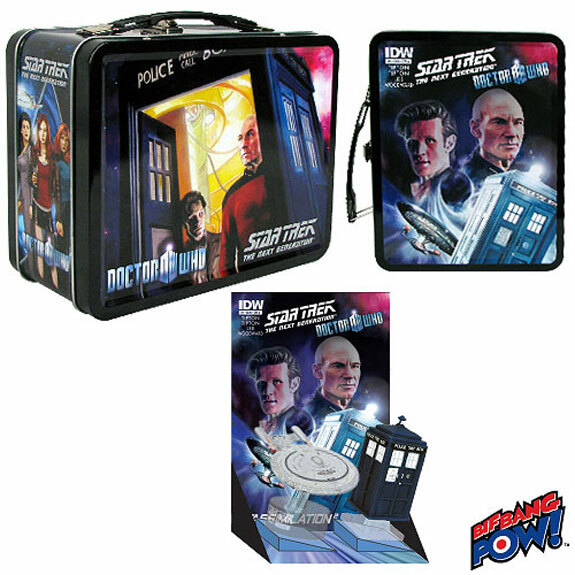 Entertainment Earth has also announced a second Star Trek crossover monitor mates and lunch tin set, which like the previously announced Twilight Zone crossover, will be a San Diego Comic Con exclusive. 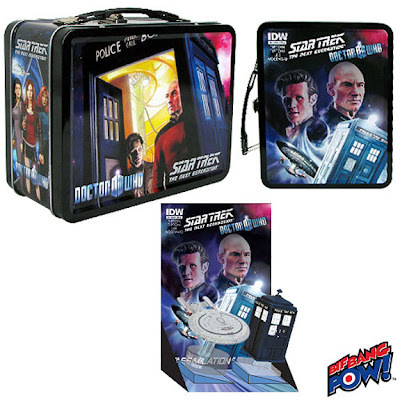 This time they are using artwork from the TNG/Doctor Who crossover comic Assimilation2, to decorate the lunch tin, while the monitor mates will be the TARDIS and the Enterprise-D. For some reason only the TARDIS will actually come with the tin; you have to send off to get the Enterprise-D.